A Knight to Remember is featured at Dawn’s Reading Nook today. Pop over, and take a look around the site. 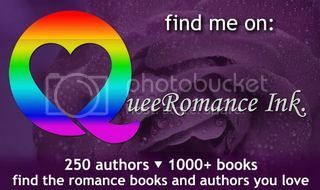 A big welcome on my LJ today to fellow Dreamspinner author Rob Colton today. Rob’s blogging about his new novella, The Ranch Foreman, and about his writing process. I’m blogging at JR Loveless’ today on writing heroes (and heroines) who aren’t stereotypes. Pop over and say hi and take a look around her blog.